After nearly 20 years and several attempts, Optec has developed a new Near-IR photometer for medium to large size telescopes. Relatively new InGaAs PIN photodiodes designed for the fiber optics communication market have reached very high performance levels compared to the IR detectors of earlier times. It is now possible to design and build an IR photometer, which allows a great many stars to be observed accurately in the J (1250nm) and H (1650nm) photometric bands. Using custom J-band and H-band filters the SSP-4 allows amateur astronomers with 10-inch and larger telescopes to perform a level of scientific measurement unheard of just a few years ago. The InGaAs PIN photodiode is the heart of the SSP-4 and is manufactured by Hamamatsu Corp. 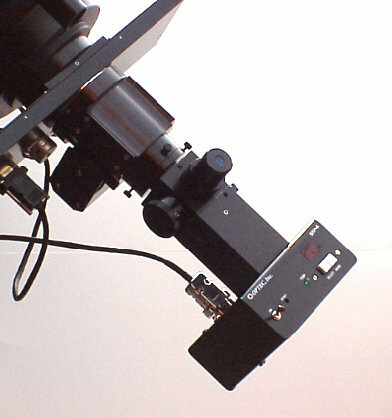 The series G5851-21 with a 1mm detector diameter is mounted in the instrument. 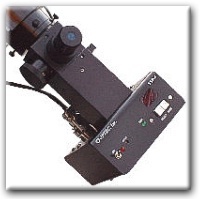 The 1mm detector is the recommended choice by the SSP-4 users group affiliated with the AAVSO. 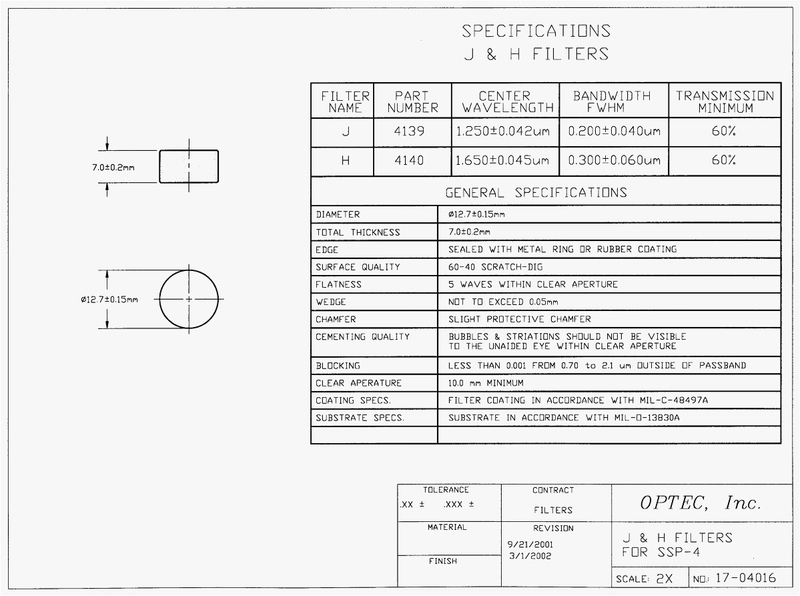 The complete specifications for this detector can be found in the manual or by clicking here. This level of instrumentation requires a large telescope with excellent tracking ability to fully appreciate the performance of the SSP-4. The SSP-4 can be used manually with input control via the two button interface or with the supplied control program, SSP4Dataq. 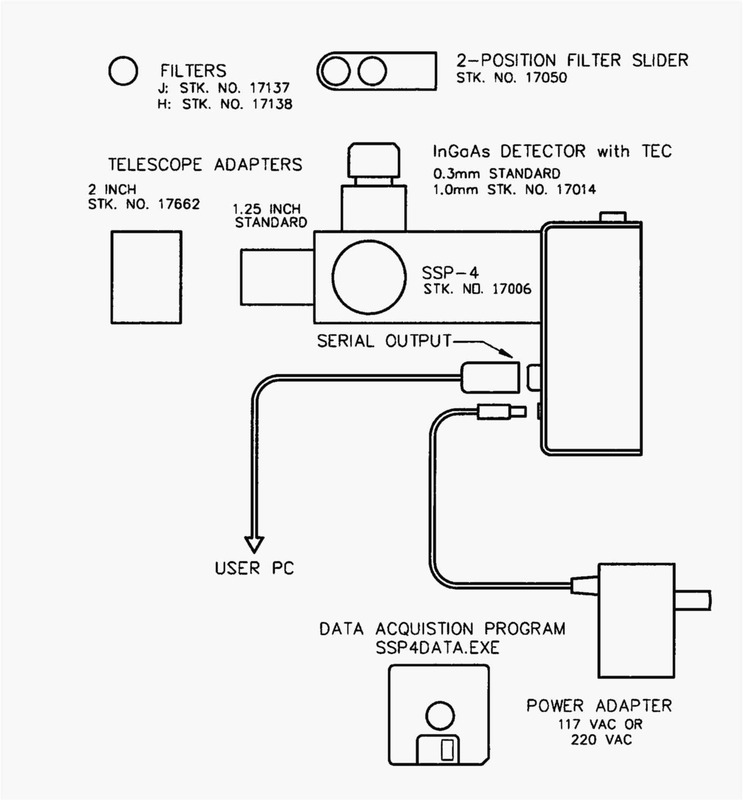 The SSP4Dataq program can operate the instrument and record the data to a PC but it has no provisions for data reduction at this time. The AAVSO has assisted Optec in the development of this instrument with an active users group. More information concerning data reduction and program stars is available at the AAVSO Infrared Photometry pages. 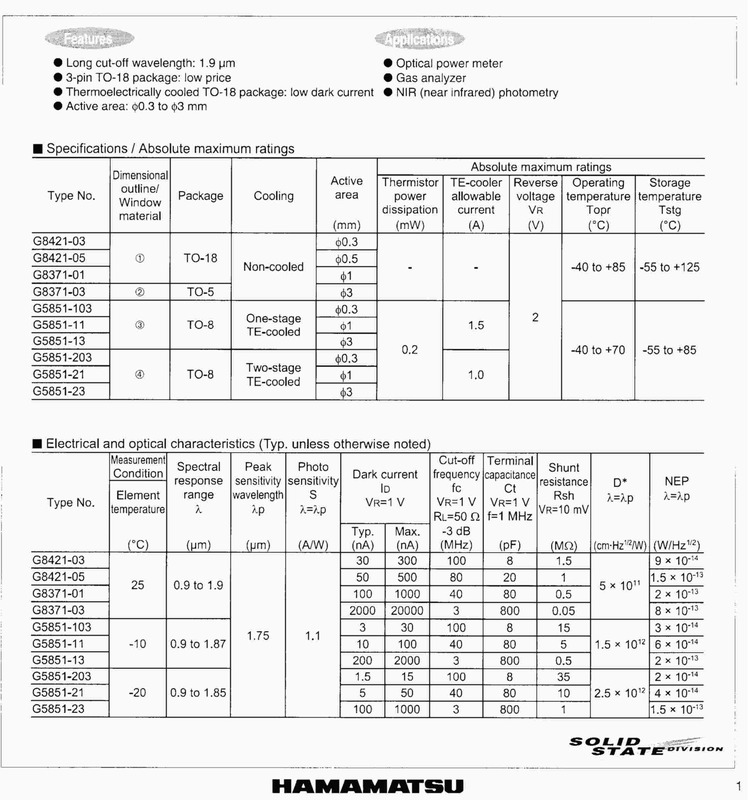 Model SSP-4 Solid-State Infrared Photometer, Technical Manual for Theory of Operation and Operating Procedures, Revision 1 - June 2010. Note: Gen2 Technical Manual update coming soon..
Download and print the Model SSP-4 Technical Manual for Theory of Operation and Operating Procedures. 199 Smith Street · Lowell, Michigan 49331 · U.S.A.
Optec,Inc. © 1996, 2014 | All Rights Reserved.